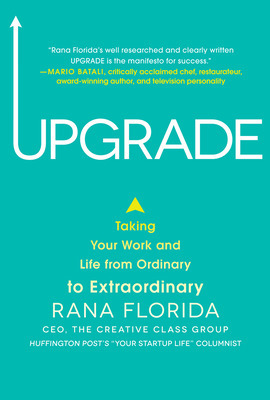 Guest post by Rana Florida, author of UPGRADE. When I saw Hillary Clinton speak at the APEC summit in Honolulu a few years ago I was awestruck by some of the statistics she cited about women in the workforce. Women own nearly 8 million businesses in the United States, accounting for $1.2 trillion of gross domestic product. Over the last 40 years, women have gone from 37% of the workforce to 48%. 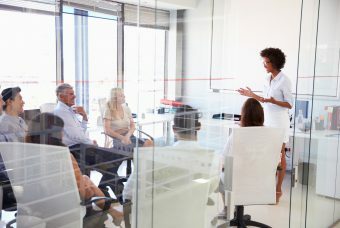 The productivity gains that can be attributed to womens increased participation in the labor force amount to $3.5 trillion in GDP. Thats almost a quarter of the nations total GDP and more than the GDP of all of Germany. But despite all of womens economic contributions, most countries and even most U.S. corporations dont work hard enough to attract and retain them. When women decide to have children, many will not return to work, as antiquated policies dont leave them enough room to juggle their careers and families. Sure, the Family Medical Leave Act entitles new parents to twelve weeks leave, but when those three months are over, women are expected to resume their jobs in exactly the same way they did beforeif those jobs were not eliminated while they were away. The contrasts and consequences of womens’ choices are starkly illustrated throughout the hit television series Man Men. A Little Kiss, the first episode of the fifth season, begins as the head secretary, Joan, is out on maternity leave, exhausted and stuck at home with the new baby while her doctor husband is stationed in Vietnam. When she gets dressed up and visits the office with her baby, the staff ooh and ahh and uncomfortably pass the baby around while hustling to get back to work. Joan is desperate to return to work, a startling change from the first season, in which she had seen her job as a way to get a husband and kids. Peggy, Joan, and Megan choose to work, whereas Trudy and Bettys suburban dream has left them bored, frustrated, and increasingly obsolescent. Whats disheartening is how little has changed since the 1960s. Its amazing that some offices have done as much as they have to enliven workspaces, pingpong tables, green spaces, sprawling campuses, even allowing employees to bring their pets to work, but have done so little to support working mothers. Having children, one of the most wonderful and precious experiences of peoples’ lives, is welcomed socially by families and friends but shunned professionally. Our corporations and organizations mostly look at it as a hindrance. The majority of women are forced to choose to give up their professional careers to care for their children or be stressed out messes and juggle demanding hours at work with neglected or subpar child care. It’s 5 p.m. at the office. Working fast, you’ve finished your tasks for the day and want to go home. But none of your colleagues have left yet, so you stay another hour or two, surfing the Web and reading your e-mails again, so you don’t come off as a slacker. It’s an unfortunate reality that efficiency often goes unrewarded in the workplace. I had that feeling a lot when I was a partner in a Washington law firm. 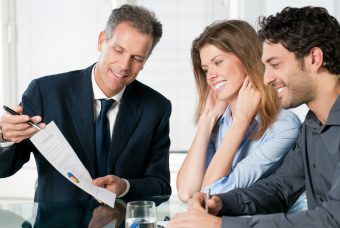 Because of my expertise, I could often answer a client’s questions quickly, saving both of us time. But because my firm billed by the hour, as most law firms do, my efficiency worked against me. Unfortunately, it’s just this mentally that ends up hurting working moms. Society needs a serious wake-up call. Working women are here to stay, and they are always going to have children. Current maternity leave practices need a total overhaul. Sure, give new mothers time off to adjust to their new situation, but don’t shock them back into the workforce a few months later. Allow them the freedom and flexibility to juggle their workload and new family members on their own schedule. An infant doesn’t march to the drumbeat of the 9-to-5 time clock. Recognize the need to come in later, pop out during the day, and work later or work odd hours. Not all jobs can be performed remotely, of course, such as manufacturing and service jobs. If you are a nurse or a retail worker, keeping certain hours makes sense. But why are so many organizations reluctant to adjust to the needs of mothers who work in knowledge jobs? Give them the flexibility to manage their own workload. If their work suffers, then reevaluate. But the time, money, and resources needed to find and train a new employee far exceed what it costs to put a little freedom, trust, and flexibility into their schedules. If you’re a woman who’s looking for a job, look for a company that gives you the freedom and flexibility to get your work done on your own schedule. If youre an employer looking for top talent, recognize the needs of the changing workforce and understand that many people would accept less pay for more flexibility and control over their schedules. 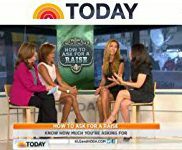 Tap into the mothers who want to raise children in a well-balanced environment but want to work from home. The children we raise today will be the leaders of our society tomorrow. Originally published on Women 2.0. Rana Florida is the CEO of the Creative Class Group, managing new business development, marketing, consulting, research, and global operations. 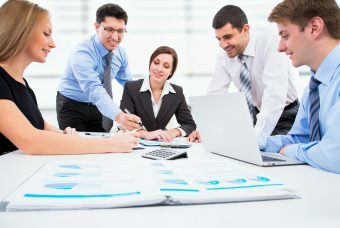 CCG is a boutique advisory services firm composed of leading next-generation researchers, academics, and strategists. Its clients include BMW, Starwood, IBM, Philips, Pinewood Studios, Zappos, and Johnson & Johnson, to name just a few.